Selecting the best nursing school in South Carolina can be difficult. To make the process easier first look for a school that supports students towards licensure and beyond. A great way to measure this is through NCLEX-RN "pass rates." We have ranked the top 10 nursing schools in South Carolina by analyzing current and historical NCLEX-RN "pass rates", meaning the percentage of graduates who pass the exam, out of the 30 RN programs in the state. Programs reviewed include schools that offer an Associate in Nursing (ADN/ASN), BSN, or Direct-Entry MSN Degree. 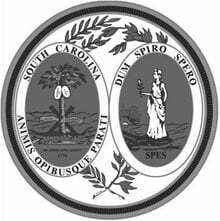 South Carolina has a growing complex health care system that is need of highly trained nurses. The demand for skilled registered nurses in the state is poised to keep growing in the coming years. 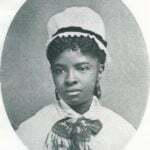 The Bureau of Labor Statistics reports the average salary of a registered nurse in South Carolina at nearly $61,110 annually, making it a wise career choice for those looking for an opportunity in the healthcare sector. If you are looking to enter the nursing profession, earning an Associate's Degree in Nursing (ADN) is a quick and cost effective way to do so. The ADN program takes only 2 years to complete, making it a great choice for those wanting to begin working quickly. They are also commonly offered at junior colleges as well as technical colleges, making it accessible to a wide array of students from all around the state. With over 15 schools offering ADN programs in South Carolina, becoming an RN in the state is easily within grasp. Choosing an accredited ADN program is of great importance. It is advised to check for national accreditations, including ones from major players like the Accreditation Commission for Education in Nursing (ACEN) and/or the American Association of Colleges of Nursing's Commission on Collegiate Nursing Education (CCNE). In addition to this, you'll want to make sure that your preferred program is recognized at the local level by the South Carolina Board of Nursing. To gain your RN license from the South Carolina Board of Nursing, you'll need to take the National Council Licensure Examination for licensure as a Registered Nurse (NCLEX). Do some research on prospective ADN programs to ensure that the curriculum will fully prepare you to take this test. According to the American Association of Colleges of Nursing, 2,357 people took the NCLEX exam for the first time in the state in 2015, and 89.3% received licenses. The ADN program at Greenville Technical College in Greenville, SC, is just one example of a properly accredited program in the state. 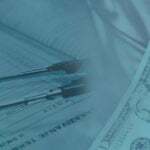 Knowing what to expect when it comes to cost is a major part of deciding on an ADN program. You'll have the main expense of tuition, which may or may not include additional items such as textbooks, uniforms, lab fees and more. Be sure to account for additional costs such as these when comparing programs, and always double-check with your school to see what's included with tuition. To give you an idea about what to expect, ADN program tuition at Midlands Technical College, which has campuses throughout the state, is $10,880 plus applicable fees for residents of Fairfield, Lexington, and Richland counties (and more for out-of-county and out-of-state students). ADN programs have gained in popularity due to the relatively short length of duration, coupled with the accessibility and lower cost of the program (compared to traditional 4-year degrees). If you are wanting to start working as a nurse soon, and/or have budget constraints, an ADN is a great route to get you where you want to be. For Licensed Practical Nurses (LPNs) looking to advance their careers, LPN to RN bridge programs are a popular choice. These programs allow LPNs to become RNs by building on the education and skills they already hold. Prospective students can choose between an LPN to ADN or an LPN to BSN program. If you're looking for a traditional college experience, a Bachelor's of Science in Nursing (BSN) is a 4-year program that offers plenty of opportunity. As a more advanced degree, the BSN will give you the option to hold much wider array of nursing jobs in addition to providing increased salary potential. South Carolina has over 10 schools that offer BSN programs. Choosing which school to earn your BSN from is one of the most important decisions you will ever have to make. To ensure that you are picking wisely, it's a good idea to research and compare different programs in your area. Look at things like cost, program outcomes, accreditation, and location to help you make your decision. Some schools offer online courses. Some offer accelerated programs to help you finish even faster. And if you are already an RN, some schools even offer a specialized RN to BSN program. Clemson University, located in Clemson, SC, is a great example of a school in the state that offers a fully accredited BSN program. Completing a BSN program will generally take you 4 years. This can be shorter if you decide on an accelerated program, or if you are doing an RN to BSN, which takes closer to 2 years depending on what courses you need to take. Be sure to inquire with your school of choice to see what kind of program options are available to you, and how long each of them will take. The following is a sampling of items that tend to be required for admission into a BSN program. It's advised to inquire directly with your prospective school to see what their particular requirements are. There are many factors to take into consideration when comparing costs and fees of BSN programs in the state. Remember that in addition to tuition, you will have to pay for extras such as textbooks and lab fees, and these additional expenses may or may not be included with your school's tuition. As an example, the cost for a BSN at University of South Carolina Upstate, located in Spartanburg, SC, is $5,355 per semester for in-state students, in addition to a matriculation fee, technology fee, health fee, security fee, and a nursing course fee. BSN programs are perfect for the nursing student who is looking to attend a 4-year bachelor's degree in return for increased job opportunities and pay upon graduation. It is also a great choice for RNs who want to advance their careers for those same reasons. 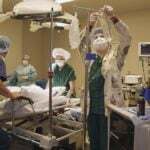 With just a bit more schooling, you can earn a Master's of Science in Nursing degree (MSN). This is essential if you want to become a Clinical Nurse Specialist, Certified Nurse Midwife, or a Nurse Practitioner, among other specialties. This graduate level program will also lead to increased earnings. There are a handful of programs at South Carolina schools which offer an MSN. Generally speaking, an MSN will take 2-3 years to complete, depending on a number of factors. 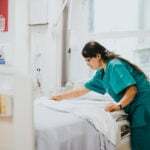 Many schools offer flexible schedules, which may include night courses or online courses, to cater to busy working registered nurses who have time constraints. Ask your prospective school about what type of schedules they offer for their MSN program so you can get a full picture of the time commitment. You will want to educate yourself on MSN costs so that you can choose your program wisely. Remember to factor in additional costs and fees as well as tuition. For example, the total cost of attendance for an academic year for an MSN student attending full-time for 3 quarters at South University in Columbia is $33,794 for those living off-campus. South Carolina regulations for licensure have the following criteria to be met or submitted when applying. A full-time commitment of 12 to 18 months can move your career on an upward trajectory. Colleges in South Carolina are offering accelerated degrees in nursing that can help put your career on a fast track to advancements. Although these programs require your full focus, which means no outside work while completing them, they offer degrees in short periods of time. When looking at an accelerated program look into the required courses you might have to complete before program entrance will be granted. Tuition fluctuations coincide with the number of credits we might have to obtain prior to commencing the degree program. Not just meeting the needs of the health care system, but surpassing them is what the basis of the ADN program offered at York Tech in partnership with University of South Carolina - Lancaster. York Tech is dedicated to providing excellence in education, which translates to excellence in graduates. Learn more by visiting the York Technical College and the University of South Carolina Lancaster nursing website. University of South Carolina offers undergraduate and graduate nursing programs of excellence to shape the future of nursing’s workforce. Their undergraduate program produces the largest number of BSN graduates in the state, has excellent NCLEX pass rates, and high employability. Check out the official University of South Carolina - Columbia nursing program. Nursing graduates from Greenville Tech College are welcome additions to the health care industry, as employers have expressed their confidence in the skillset brought to the table by the graduates. Check out the official Greenville Technical College nursing program. Highly trained faculty, hands-on practical skills and challenging curriculum all add up to a highly skilled nursing graduate from Orangeburg-Calhoun Technical College in Orangeburg. Small class sizes and personalized instruction foster graduates to realize their potential and become high quality health care professionals. Get all the program details by visiting the Orangeburg-Calhoun Technical College website. Greenwood’s Lander University offers a pre-licensure BSN program that is CCNE-accredited. The curriculum builds upon a liberal arts foundation, providing an innovative and holistic approach to nursing education. Hospital and community medical experiences are weaved in as well. Check out the official Lander University nursing program. Located in Sumter, Central Carolina Technical College boasts an ADN program that is both board-approved and ACEN-accredited. Student learn via classroom lectures as well as clinical and laboratory experiences. Admission is competitive and based on a selective point system. Learn more by visiting the Central Carolina Tech College nursing website. The best clinical settings, a variety of practical scenarios, and rigorous theoretical teachings are all the makings of a stellar nursing program. Aiken Technical College can offer you a renowned program to suit your needs. Visit the Aiken Technical College nursing website to learn more. The Clemson University BSN program strives to prepare a generation of compassionate nurses through its CCNE-accredited curriculum. Enrolled students take courses in biology, psychology, chemistry, writing, and more to get a well-rounded education, and juniors and seniors get to enjoy hands-on learning in clinical settings. Learn more by visiting the Clemson University nursing website. 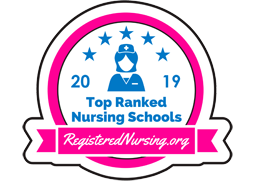 Entering the Top 10 for the first time, Anderson University offers students an Accelerated Bachelor of Science in Nursing (ABSN). This stellar program can be completed in just 15 months, and includes courses in Community Health, Leadership, and much more. Visit the Anderson University nursing website to learn more. Varied real-life clinical experiences, high tech simulations, and comprehensive theoretical curriculum are offered in the Department of Nursing at Trident Technical College. TTC prepares future nurses to accept the challenging demands of the ever-changing health care needs. Learn more by visiting the Trident Technical College nursing website.